Noritake recently offered samples of these impressively bright 16 x 122 pixel graphical vacuum fluorescent displays. 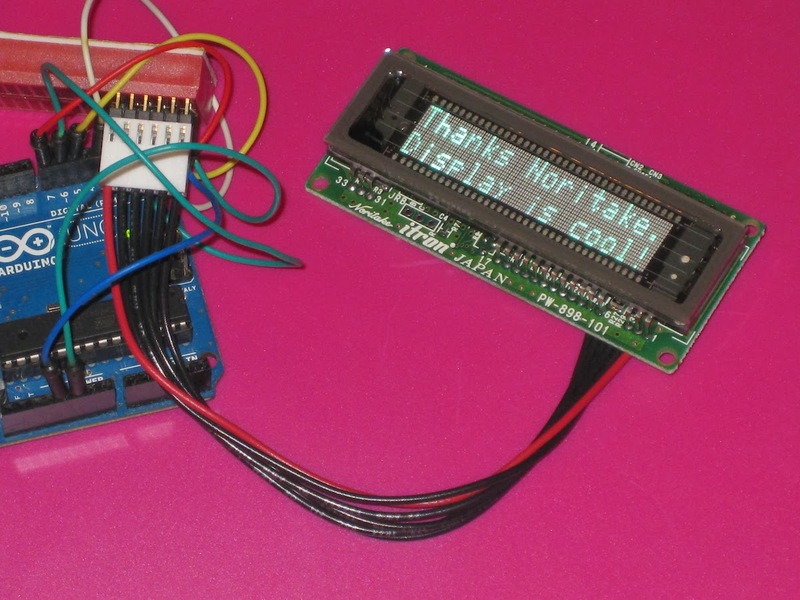 Their GU7000 Arduino library is easy to set up and use: it took just a couple of minutes to get out this message. I like! Only to US and Canada :( Europe here, cool display!